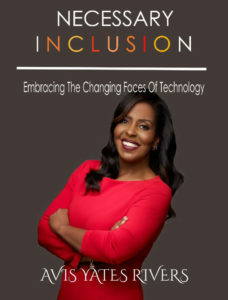 UPDATE: Avis’s book, Necessary Inclusion, (2nd photo to the left) was published in December 2017 and is available here. Also, go to avisyatesrivers.com for more information about her life, the book, book signings and personal speaking engagements. Even at a young age, Avis Yates Rivers demonstrated a unique ability to envision possibilities and recognize opportunities, and credits growing up with five siblings in New York City as an important period in her life that prepared her well for the challenges that lay ahead. During the early part of her professional career, Avis enjoyed a highly successful eleven-year tenure at Exxon, five of which were spent selling early technology solutions to firms in lower Manhattan. This experience formed the platform from which she would eventually launch her own business. When Exxon sold off its Office Systems Division in 1985, it left a temporary void in the marketplace, which provided Avis with the opportunity to establish her first technology company and continue to service Exxon’s customers. Never shying away from hard work and always willing to do what was necessary to succeed, Avis has accomplished a great deal as she continues to build on her 30-year career in the world of business. A strong believer in the late Shirley Chisholm’s ideal that “service is the rent you pay for the privilege of living on this earth,” Avis subscribes to both the principles and the practice of being ‘in service.’ She is a long-time advocate for the increased utilization of minority and women-owned businesses, and a change agent for increasing the meaningful participation of women and people of color in technology. She serves as a Director on the Board of a select group of non-profit organizations and is the National Spokesperson for NCWIT’s Sit With Me Campaign. Avis also serves on the board of the National Center for Women & Information Technology (NCWIT), the Women Presidents’ Educational Organization (WPEO), the Newark Regional Business Partnership (NRBP), and the NJ Small Business Development Centers. 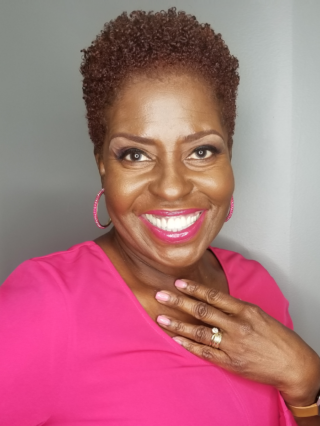 She is a highly sought after business leader, a nationally recognized thought leader and social entrepreneur, and an effective, in-demand international speaker. Other awards and honors include Entrepreneur of the Year, Woman of Distinction, the Shirley Chisholm Award for Business, Top 10 Women in Technology and Top 25 Leading Women Entrepreneurs & Business Owners, among many others.